With the introduction of Rajaprint and two more big announcements to come over the next week, it’s an exciting time here at Rajapack. Although one of those announcements is top secret, we can reveal that the other will be centred on the introduction of a brand new product. Another UK industry first, we honestly believe that our new product launch has the potential to take the market by storm and revolutionise a customer’s packaging experience. If you want to stay ahead of your competitors, you really need to stay tuned to the Rajapack blog over the coming days. This entry was posted in Packaging Industry News and tagged infusionwrap on March 30, 2015 by Rajapack. 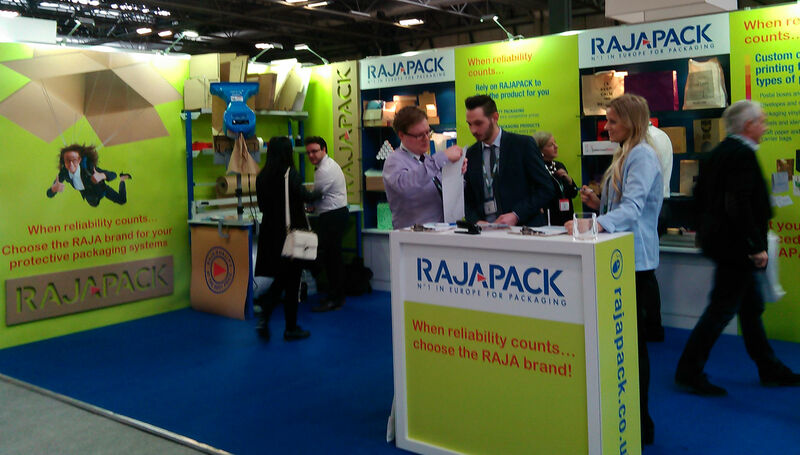 Last month saw the return of the Packaging Innovations Expo and once again, Rajapack were there to not only show off some of our great products, but also have a look at what others in the industry have been getting up to. We sent along Matt and Jules, members of our fantastic internal sales and marketing teams, to report back to us on what was causing a stir at the expo in 2015. Q. Which particular companies displayed products that really interested you? What were the products? M. The one product which stood out for me was a super cool 3D printer from a company called ‘Laser Lines’; the whole area of 3D printing is just mind-blowing! J. I thought there were a few interesting products from several different companies. I really liked the inflatable packaging that ‘Airpack’ were exhibiting and I also thought ‘Your Gift Basket’s’ range of gifting fillers were eye-catching and simple to assemble. ‘CS Labels’ had an incredible array of all types of labelling from embossed to metallic to holographic, in all sizes and colours. Q. What were the main trends and themes that came out of the expo? M- Customers are seeing the advantages of paper over air-fill machines and both are becoming popular replacements to loose-fill chips and bubble wrap. Customers also seem to be putting a higher value on efficiency over price and are starting to favour integrated packaging machines. J. Cost-effectiveness and the need for strong, protective packaging were recurrent themes through the entire Expo. In terms of the types of products most on display, these appeared to be food packaging such as moulding and polypropylene and health and beauty items. Q. Which products did you display and how were they received? M. We displayed a selection from our 3500 line product range alongside 3 packaging machines. Our products were really well received, with customers especially interested in personalising their packaging with custom print or sizing. We showcased our new online tool RAJAprint which allows customers to design their own packaging tape online. The Ranpak FillPakTT Cutter, a paper void fill machine, had a lot of interest shown in it due to its efficiency and cost saving properties (as opposed to high volume solutions such as loose fill and bubble wrap). The Opus Mini Bio machine remains one of our most popular systems. Customers like the fact that it is affordable to be bought outright (not on a contract), as well as its speed and efficiency. J. I agree with Matt. In terms of what we had on display, we also had shelves of customised products and gift lines which were a big draw, a shelving unit with all our core lines and our base packing station. Q. Do you have any final conclusions that you have drawn from the Expo about the way the industry might be moving over the next 12 months? M. Customers require more than just a low price from their packaging suppliers. They’re now looking for the whole package: a wide product offering, quick delivery, personalised support both over the phone and in the field, a deep knowledge of the market and ways that we can increase overall efficiency rather than just lowering current product cost. Customers are looking at custom made or printed solutions as the norm these days and the number of customers going for bespoke solutions will only increase in the months to come. 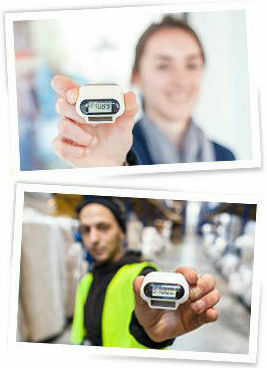 Rajapack will also be displaying the eDelivery Expo in Birmingham on the 25th and 26th March. Click here for more information. This entry was posted in Packaging Industry News and tagged business, packaging, packaging innovations, rajapack, reactions on March 30, 2015 by Rajapack. The eDelivery Expo 2015 will be taking place at the NEC in Birmingham on the 25th and 26th March and we’ll be exhibiting. Make sure you come and say hello to us; we’ll be in Hall 3 at stand G11. The show, which will be sharing the venue with the Internet Retailing Expo, brings together over 50 of the country’s top packaging and delivery companies in a display of information sharing and trend awareness. This year, we will be using the expo to showcase our exciting Rajaprint packaging-tape customisation system, showing off other top quality products and innovations such as our cardboard envelopes, extra flat boxes, paper and air fill packaging machines, and giving free and friendly advice about packaging. The show takes place on the 25th and 26th of March, opening at 9.30 on both days before closing at 17.00 on the Wednesday and 16.00 on the Thursday. To join us at the eDelivery Expo, click here to register your details. This entry was posted in Packaging Industry News and tagged business, eDelivery Expo, eDelivery Expo 2015, NEC, packaging, packaging tape on March 23, 2015 by Rajapack. 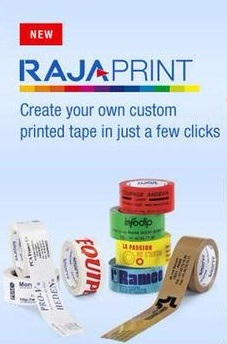 We couldn’t be more excited to introduce our brand new packaging-tape customisation system, Rajaprint. Rajaprint is an online system that allows users to choose from varying types of packaging tape before customising them with different colours, texts or brand logos. We’ve always tried to be the best for our customers and to us that means listening to their requests and trying our best to turn them into workable, affordable products. It also means moving with the evolution of the packaging world. Rajaprint comes as a reaction to a wave of customer feedback that suggests that customisation is set to be the packaging must-have of 2015. The list of variables for Rajaprint is impressive, even if we do say so ourselves. The added branding potential that customised packaging tape can provide is such a benefit to SME business’ who don’t want the large overheads of specialised branding campaigns. With the Rajaprint, special launch offer customers can buy a stock of custom vinyl tape from just £1.67 per roll (72 roll minimum order) and in the process take care of packaging and branding needs in one go. We’re pretty proud of the turn-around time as well; business never sleeps and so we’ve made our process as streamlined as possible. Our typical delivery time is just two weeks from design sign-off. Click on the picture below to try out Rajaprint for yourself, it could be the best thing you do today. This entry was posted in Packaging Industry News and tagged business, design, packaging, packaging innovations, packaging tape, rajapack on March 18, 2015 by Rajapack. To help and support this year’s International Women’s Day, all employees across the 18 companies under the Raja Group umbrella have taken part in a week long mobilisation for Women’s rights. All 1500 employees were given a free pedometer for the campaign, organised by the Raja-Daniele Marcovici Foundation, with the goal of achieving 15 million steps. The attempt was made in support of the Life Project 4 Youth charity, which is currently helping young mothers in the slums of Manila and Jakarta. The charity helps young people living in these slums build better futures for themselves and their families. Since 2009, 500 young people have been supported by the Life Project 4 Youth, but with many living in vulnerable conditions in these slums, the charity is in vital need of help and support from organisations such as the Raja-Daniele Marcovici foundation. That is why we are proud to announce that the Raja Group have incredibly met that goal of 15 million steps and therefore a generous donation of €15,000 has been gifted to the LP4Y by the foundation. This is an incredible amount of money for a charity which does such important work in some of the toughest environments in the world. To put it into context, 15 million steps between 1500 people equates to an average of 10,000 steps (5 miles) per person. However, The Raja-Daniele Marcovici Foundation’s support of the Life Project 4 Youth charity has not started and finished with the March for Women’s Rights week. Since 2012, the foundation has supported two centres which specialise in the education and support of young, unmarried mothers. In that time, the centres have helped over 50 young mothers to learn key entrepreneurial and production skills which will allow them to have control over their lives and build futures for themselves and help lift the communities out of poverty. Founded in 2006 on the initiative of Daniele Kapel-Marcovici, CEO of the Raja Group, the Raja- Daniele Marcovici Foundation supports community projects for women in France and around the world. It campaigns for women’s rights, the fight against violence against women, education and training, professional and social integration. To find out more about the work of the Life Project 4 Youth, watch the video below. This entry was posted in Charity Work and tagged charity, fundraising, International Women's Day, IWD, Life Project 4 Youth, Raja Group, rajapack on March 10, 2015 by Rajapack. We hope you’ve been following our Home Safe Home campaign over the last few weeks. We’ve had a lot of fun building Hector’s mansion and raising money for such a worthwhile charity, but sadly all good things must come to an end. As of today, the final total raised for Tiggywinkles Wildlife Hospital is a huge £351.46! We’d like to say a big thank you to all our kind donors and everyone who’s followed our campaign on social media. We hit five targets giving Hector the hedgehog a house, sky dish, garage, garage extension and west wing extension. Despite our £1,000 target being a little out of reach, our cardboard constructors were having so much fun that they went ahead and built the full mansion anyhow! Whilst our charity campaign has come to a close, the work at Tiggywinkles Wildlife Hospital continues. When the nurses and veterinary surgeons are hard at work treating injured hedgehogs, birds and reptiles, the office team are busy keeping up with admin. To help them out, we’ve also donated over £220 worth of stationery and packaging. We hope you’ll continue to support Tiggywinkles and keep an eye out for our next charity campaign. This entry was posted in Charity Work and tagged charity, fundraising, wildlife on March 6, 2015 by Rajapack. People are concerned with their privacy now more than ever. Dependability is a valuable commodity in business; it can make or break a relationship. You only need check the news to read stories of letters getting lost in the mail, parcels getting damaged or even money being stolen from cards. When sending goods it’s important to know that they’re looked after in transit, but how can you make sure they stay safe? An ideal way to protect a package against alteration or mistreatment is through the use of tamper evident crate seals. These act like a lock that has to be cut to be released, providing visual evidence that boxes or equipment have been opened or used. For added security, the pull-up security seals also have sequential serial numbers printed in black, which means you can track and send items confidently. 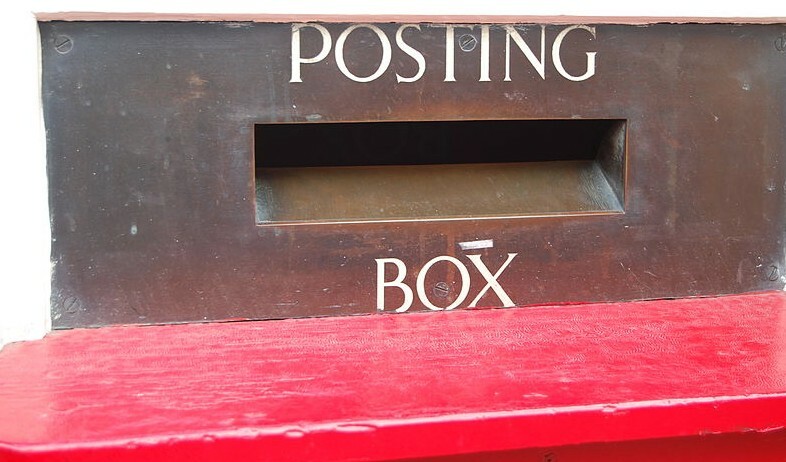 For businesses shipping large volumes of goods it’s a little different; in most instances it won’t just be a matter of posting through a letter box and will more likely involve a delivery firm that transports your goods. For bags, a simple pull tight design is perfect for sealing. You’ll be able to track and trace your secure items and see if anything has been altered. The ideas are simple, but more importantly they offer businesses piece of mind, beyond financial and liability security. A customer relationship based on trust is absolutely vital for any business. Take Amazon, for example. Amazon use seller ratings which help you make the decision on whether or not you want to make a purchase from a seller. The idea is simple; if two vendors are selling the same item and one has 60% positive feedback yet the other has 98% positive feedback, then who is a customer more likely to buy from? In an environment where, for the customer, reliability is as important a currency as money, the affordability and convenience of these simple security measures make them no-brainers. The most important thing to remember when sending your product to the customer is that their experience doesn’t start when they first use their new item. The impression they have of your company starts when they first receive that package from the delivery person. A parcel that appears well-cared for, well-secured and immaculately delivered with attention to detail, will leave no doubt in the customers mind that yours is a service worth revisiting. This entry was posted in Packaging Products & Materials and tagged packaging, postage costs, security on March 5, 2015 by Rajapack.